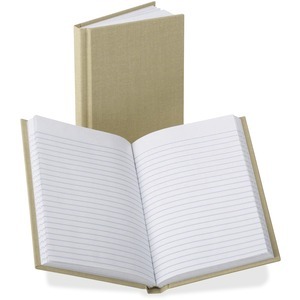 Memo book features a hardbound cover with turned-edge construction for increased strength. Faint-ruled paper features acid-proof, permanent ink to help preserve your data and information. Premium-quality paper is great for keeping notes, recipes and more. Sheet Size 4 3/8" x 7"